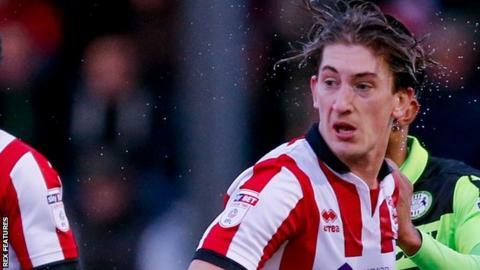 Peterborough United have signed midfielder Alex Woodyard from Lincoln City on a two-year deal. The 25-year-old joins Posh for an undisclosed fee after two seasons at Sincil Bank. Woodyard featured in the Imps' run to the League Two play-offs this season, as well as promotion from the National League the year before. "I've played a lot of games, so I've learned a lot and I'm game ready," he told BBC Radio Cambridgeshire. "I'm a ball-winner, I love to win games - I'm a fighter, I give a lot of energy and I keep the ball for the team."